Emily Chen was selected to participate in the 2019 St. Jude National Graduate Student Symposium (NGSS). Emily is one of 38 students selected from over 1400 by a faculty review committee for the 2019 symposium. We are super happy and super excited to announce that Aidan Gilchrist was recently awarded a Fellowship Research Award (F31) by the National Institute of Diabetes and Digestive and Kidney Diseases (NIDDK) for his proposal “Dynamics of autocrine and paracrine signaling domains in HSC maintenance”. The ever charismatic chemist, Dr. Julio Serrano, recently received 2-years of funding through a NIH R01 postdoctoral supplement! His labmates are pumped to know they have 2 years to soak up his chemical knowledge. 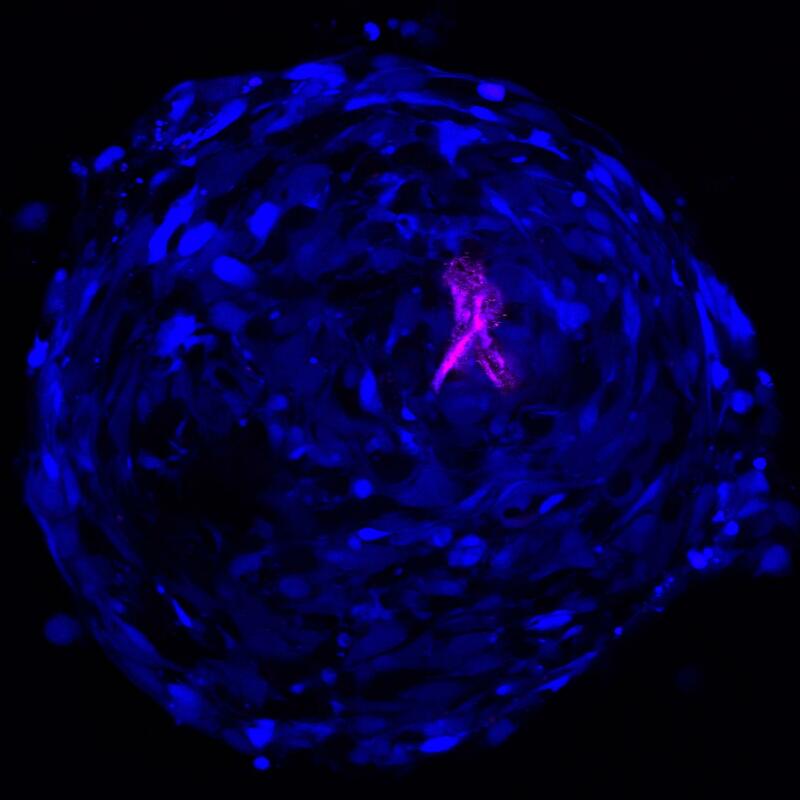 Harley lab receives new NIH funding!! 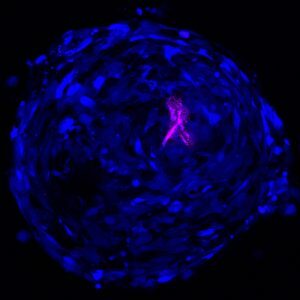 Dr. Harley is the PI of a new R21 research award from the National Institutes of Health entitled, ‘Amniotic membrane derived matrix for large bone defect repair.’ Working with Co-PI Matt Wheeler (Illinois) and Collaborator Kara Spiller (Drexel) we will explore new biomaterial designs to modulate the immune response immediately after injury as a means to accelerate craniofacial bone regeneration! 2 lab members take their Qualifying Exam…and 2 lab members pass!! Tori Barnhouse and Samantha Zambuto both passed their qualifying exams! Now they can put that stress behind them and focus on the vastly more stressful research! yay! 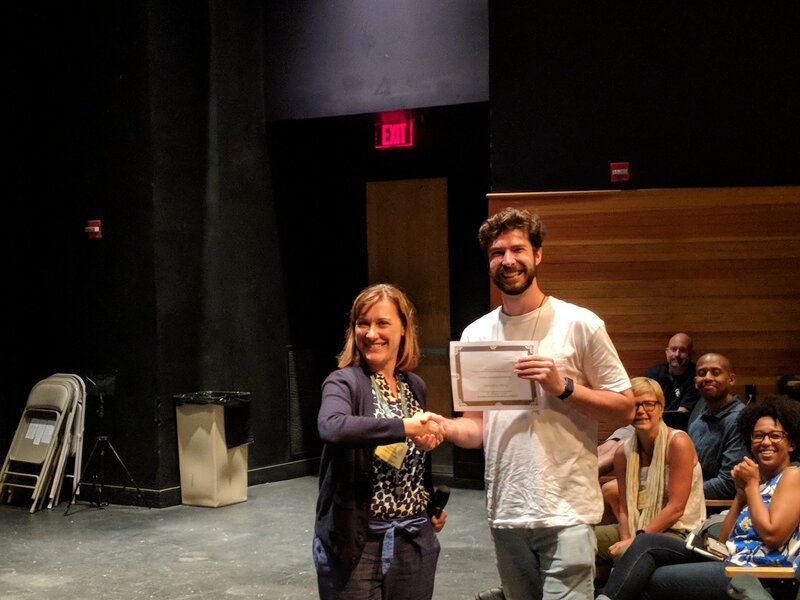 Aidan was pleasantly surprised to win an Outstanding Poster Award at the GRC Signal Transduction by Engineered Extracellular Matrices. Sarah Heilshorn gave the certificate and was gracious enough to not make fun of Aidan’s unpleasantly wrinkled T-shirt. Mai Ngo was selected as a 2018 SCS Teaching Award to recognize her teaching excellence in the 2017-2018 year. Way to go Mai! The Mavis Future Faculty Fellowship was developed to train and teach future faculty skillsets that will aid in becoming effective teachers, mentors, and researchers. The three lab members are excited to be a part of this exciting opportunity and are excited to partake in it together! P.S. Aidan’s boyfriend, Scott McCormack, will also be joining them in the MF3 program. P.P.S Mai’s boyfriend, Dylan Walsh, will also be joining them in the MF3 program. Power couples left and right! !